A trove of well-preserved dinosaur footprints has been uncovered on a beach in East Sussex. Dating back to the Cretaceous Period, the prints still show traces of skin, scales, and claws. Palaeontologists from the University of Cambridge have uncovered 85 dinosaur footprints from at least seven different species on this beach. 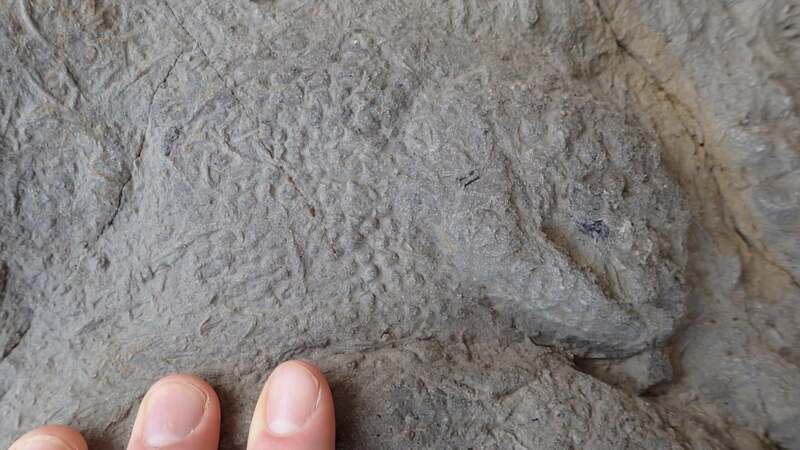 It’s now considered “the most diverse and detailed collection of these trace fossils from the Cretaceous Period found in the UK to date,” according to a statement. The prints range in size from around a three-quarters of an inch (2 cm) to nearly 24 inches (60 cm) across. The researchers, led by Anthony Shillito, a PhD student in Cambridge’s Department of Earth Sciences, were able to identify some of the dinosaurs responsible for the prints, including an Iguanodon, an Ankylosaurus, a species of stegosaurus, and some unidentified sauropods (long necked, four-legged herbivores). The level of detail in some of these prints is truly remarkable. The discovery of these footprints was made possible thanks to coastal erosion. Over the past four winters, strong storms and storm surges have pounded the coast, causing the sandstone and mudstone cliffs within which these prints were embedded to collapse, exposing them. The stratigraphic layers date back to the Lower Cretaceous Period, between 145 million and 100 million years ago. Details of this extraordinary finding were published this week in the science journal Palaeogeography, Palaeoclimatology, Palaeoecology. This region of southern England is known for producing dinosaur fossils, including the first example of fossilised brain tissue found in 2016. During the past century, however, the area has only yielded the odd dino footprint, and certainly nothing on this scale. 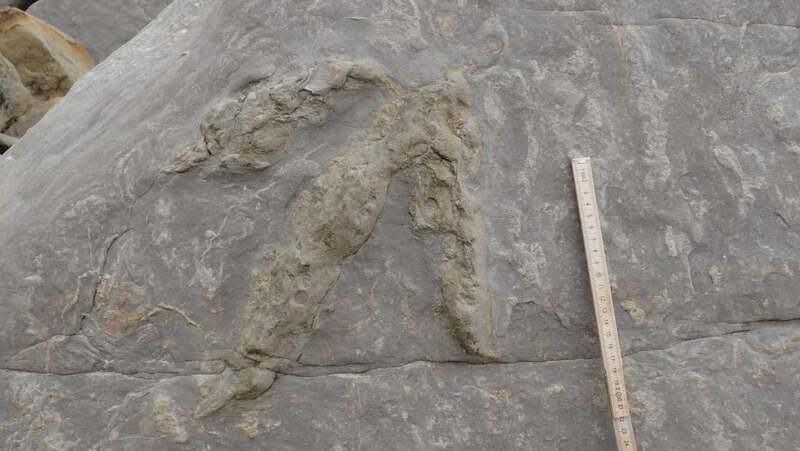 Dinosaur footprints are of huge value to scientists, offering insights that body fossils cannot, such as evidence of soft tissue, behaviour, and a sense of which animals and plants were living at the same place at the same time. The area in which these particular dinosaurs roamed was likely near a water source, according to the scientists. The site also contained traces of fossilised plants and invertebrates. The Cambridge palaeontologists are trying to figure out if these dinosaurs might have altered the flows of rivers. Today, large mammals, like hippos and cows, create small channels that are known to divert a river’s flow. Dinosaurs, with their tremendous size, may have caused similar processes. 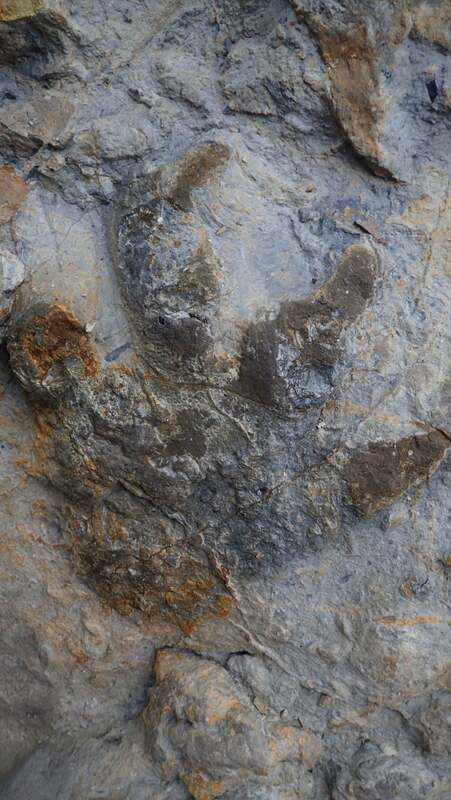 Scientists have struggled to find evidence of this in the dino era, but these newly discovered footprints show hints of this process at work, such as deep footprints where thickets of plants were growing, and prints along the banks of river channels. But more research will be needed for this to be offered as evidence of dinosaurs diverting water channels.